The Average Starting Position of the race winner at Michigan International Speedway over the last 16 races run here is 9th. What percent of ALL NASCAR RACES at Michigan International Speedway have been won from a starting position of 5th PLACE OR BETTER? What percent of ALL NASCAR RACES at Michigan International Speedway have been won from a starting position of 15th PLACE OR BETTER? What percent of ALL NASCAR RACES at Michigan International Speedway have been won from a starting position OUTSIDE OF THE TOP-20? 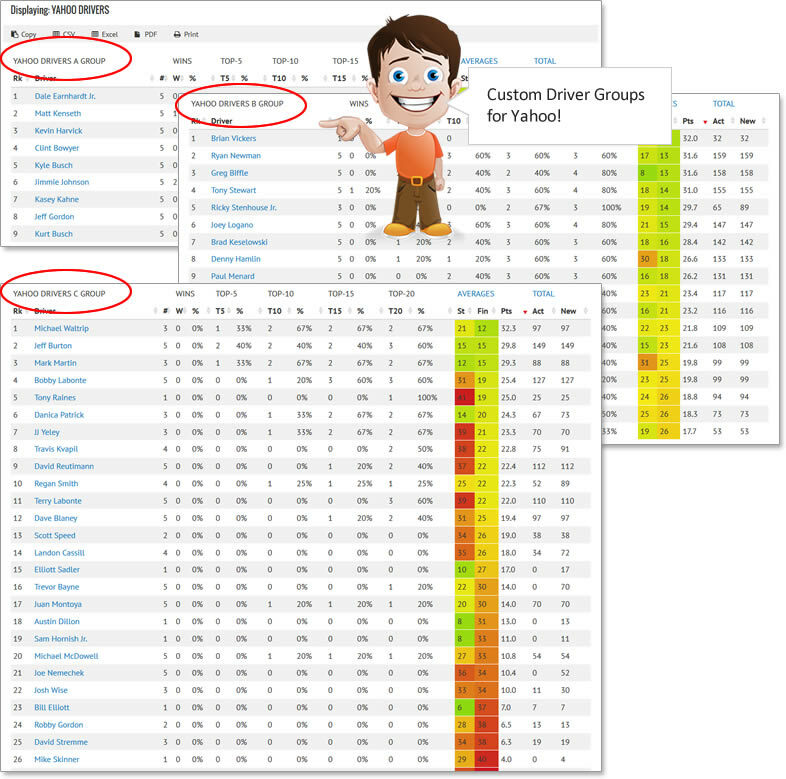 Compare NASCAR Cup Series drivers and their starting positions for each race at Michigan International Speedway since the 2011 NASCAR season. Look for trends that may reveal that a driver is consistent in performance at Michigan International Speedway or whether hit-or-miss.